Download Kin in Digital HD from the iTunes store. Kin images are © Summit Entertainment. All Rights Reserved. What do you get when you cross a heartfelt family drama with some sci-fi, other dimensional action? 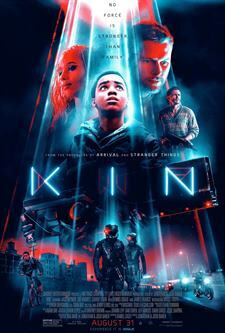 Well if you are first-time full-length feature Directors/writers Jonathan and John Baker (Bag Man) you end up with Lionsgate's latest theatrical release, Kin. Reading the synopsis - Chased by a vengeful criminal, the feds and a gang of otherworldly soldiers, a recently released ex-con and his adopted teenage brother are forced to go on the run with a weapon of mysterious origin as their only protection – one might be intrigued by the premise and rightfully so but unfortunately Kin leave something behind in the delivery making for a less than stellar outcome. Eli (Myles Truitt; The New Edition Story) lives with his adoptive father, Hal (Dennis Quaid; The Day After Tomorrow). 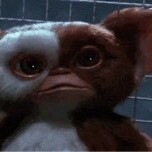 He is a loner who gets in trouble in school and explores abandoned buildings for scraps to sell. When Eli's older brother Jimmy (Jack Reynor; Sing Street) comes home after 6 years in jail things are tense. Eli escapes to one of the rundown buildings and discovers dead futuristic soldiers and an odd weapon that he takes with him. As Eli plays with the weapon he realizes he can not only open it but fire it as well. Meanwhile, Jimmy owes some guys $60,000 that he doesn't have. When he asks his father, Hal, for the money, Hal refuses even though Jimmy knows fully well that Hal has the money in a safe in his office. When Hal accidentally walks into the office while Jimmy, Taylor Balik (James Franco; The Disaster Artist) and Dutch Balik (Gavin Fox; Killjoys) are robbing the safe he is killed along with Dutch. As Jimmy flees with the money and Eli, Taylor plots his revenge. Suddenly, Jimmy and Eli are taking a road trip across the country while being chased by Taylor and two soldiers from another dimension who want back the weapon Eli took. Truitt is young and it is apparent sometimes in his acting but overall he manages to hold his own against these veterans. Quaid is always enjoyable and solid even though he is gone before we hit the halfway point of the film. Franco is excellent as the stereotypical sleazy dirtbag who shakes people down and will do anything for money (except perhaps killing his own brother). As an actor, he is a chameleon who always delivers on screen. Reynor is good for the most part and has some nice scenes with Zoe Kravitz (Divergent) who plays an exotic dancer that befriends Jimmy and Eli. Unfortunately Kin falters in a few key areas. First, the plot and script are thin and there seems to be almost two different movies going on at once. There is a very good but "been done before" story about family relationships – father and son, brother and brother – and Quaid, Truitt, and Reynor play it well for the most part. Then there is this side plot of sci-fi soldiers and an advanced weapon. In the end, the audience finds out what they have in common but for most of the movie we are left wondering and the whole thing simply seems disjointed. Second, the directors are somewhat inexperienced and while they do a decent job the pace is a little slow and the film takes some time to work up to where it ultimately is going to go. Finally, the marketing for Kin simply doesn't work. Honestly, from the trailer and the footage shown to the press during Cinemacon, I wasn't looking forward to the movie at all but the actual film exceeded my low expectations. Granted it still isn't a great movie but better than we are lead to believe. Kin's ending sets up the story nicely for a sequel but, while I am mildly interested to find out more about the soldiers from the other dimension and how Eli fit into all of that, I don't believe any studio would greenlight a second film. The first simply doesn't grab the audience enough to warrant it.